If you are asking me if it’s okay for a therapist to make a mistake, to mess up; my answer may get you angry. So before I write the answer, I ask you to hang on until the end of this article so you can understand. The answer? Yes. It is okay for a therapist to make a mistake. Hold on! You promised you would give me until the end of this column before getting angry! Because (and I will say it again, feeling once more like a scratched CD that plays the same song over and over! ), most people come into therapy for issues that are (most) always connected to issues of relationships, of connection. And one of the most important tools of therapy (specifically for attachment therapists like me) is the therapeutic self. And the most important intervention for the client is the therapeutic relationship and how it is processed during the therapy journey. When the therapeutic relationship is at its beginning phases, as in any relationship, there is little friction or expectations. The deeper one enters therapy, the more intense the therapeutic relationship. And once that intensity and engagement sets in, there enters—as in all close relationships—expecatations of the relationship. And as in real life outside of the therapy room, relationships even with the most important and beloved people in our lives, can go through periods of upset, anger, annoyance, frustration, and even disillusionment. People who enter therapy usually struggle with those close relationships. With parents, with siblings, with co-workers, with friends, with spouses, with children. Whatever the presenting issue of therapy, what initially brings them into therapy, usually is stripped away eventually to reveal the difficulty with relationships that underlies that presenting problem. Which is why, it is of utmost importance that the therapist finally makes a mistake that causes a rupture in the relationship. Because in the repair of this rupture, how the therapist repairs the rupture, in how the therapist helps the client navigate through the terrible emotions that are inflamed as a result of this mistake, is part of the repair work the client needs to begin—or continue—to learn to do with the people in his/her life with whom s/he has ruptured relationships. You probably want some concrete example of what I am talking about. No actual stories because of confidentiality, but here are some common scenario. A therapist makes a therapeutic mistake by double-booking appointment slots, by forgetting an important piece of information the client has confided, by making a joke that is perceived as insensitive by the client, expressing annoyance or fatigue in session; and many more such blunders. These are hurtful to the client, and rightfully so. The client should not be exposed to such mistakes. But if they do happen in the course of treatment, these blunders can become catalysts for the greatest work accomplished in therapy. For that to happen, two aspects of repair must be put into place: the therapist needs to firstly acknowledge her mistake, her part in the rupture and secondly, model appropriate relationship repair, humbly, respectfully, and sensitively. If a therapist can do this for a client, it is the ultimate therapy that will propel the client into understanding both how to be in a close relationship and how to recognize the unhealthiness of others in his/her life who cannot do the same. Are we doing okay, me and you, until now? Still angry about my comment that therapist’s mistakes are okay? Whew. Good. So now let me step onto slippery ice, the kind that one wrong move sends me spinning down a very dangerous slope. Because I am going to talk about how to recognize the difference between good therapists who make mistakes and bad therapists who make mistakes. And when I mean bad, I may even be referring to therapist who are considered top therapists, even helping very many people in their practice, but whose mistakes—while appearing outwardly like the mistakes of good therapists—are awful to contemplate. If I would need to differentiate between the good and bad , it would be the inability of the therapist to acknowledge her error, talk about her error, and make a therapeutic repair of her error. With the client! I sent out an email to my colleagues (social workers, psychologists, and mental healthy counselors), asking them for times they themselves had been at the receiving end of bad therapy, and I received tons of emails describing their invalidating and terrible experiences. And the theme that wove through all of them was the the therapist’s denial of the mistake, refusal to have a meaningful dialogue with them about it, and no repair with the client. Some therapist colleagues described their therapist falling asleep on them and denying their fatigue, texting during an EMDR session because they thought they would not notice, blaming them when the therapist was the one who forgot to inform them of her vacation plans, knowingly accepting another close family member into his practice, talking about other clients during session, making it difficult to terminate by insisting the client was making a mistake in leaving him, not informing them when they were ill and leaving them abruptly for extended treatment, terminating suddenly for unexplained or inadequate reasons and not initiating closure and/or an suitable transfer, inappropriate or excessive self-disclosure, among others. I am aware, for example, of a therapist in the community that is doing excellent work, but with an increasingly larger number of clients, it is emerging that she is has boundary issues and her lack of appropriate boundaries is backfiring and harming her clients. In addition, when those clients are requesting closure by discussing the harm, this therapist refuses to engage in repair or even discussion of the client's feelings, leading to severe damage that necessitates therapy to repair this damage in addition to the original presenting issues that brought the client to therapy to begin with. Here’s what I would encourage clients who have experienced a therapeutic rupture: first, try to discuss what happened with your therapist. If that doesn’t work, ask to speak to her supervisor to get an objectivce evaluation. Be open to her about your intentions. If that does’t work either because you don’t know who her supervisor is and she won’t give you the information (definitely a red flag of warning! ), or because her supervisor does not seem to understand, then seek a second opinion with another therapist. Again, do it with your therapist’s knowledge. Trust yourself. 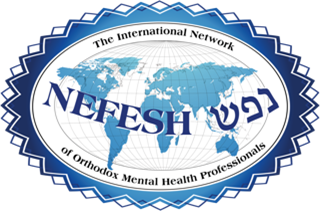 Consult with a rav if to report the therapist to the licensing board and/or person or organization who referred you to him/her. But this is my response: We have a responsibility to educate people about therapy. Good therapy. Bad therapy. Clients recognize the difference between the two. We all make mistakes. But the only mistake a therapist cannot make is to dismisses or refuse to discuss what occurred and/or will blame the client instead of owning their part. While therapy may not always feel good; it may feel painful and difficult, what is not okay is to feel humiliated, blamed, disliked, or hurt. Be an educated and empowered consumer.